Opinion: Why must North Lake Tahoe Bonanza columnist print hate? Haters and hatred seem to be running rampant in America these days. In our lifetime, the United States has witnessed hatred and displays of that hatred and anger, most often toward Blacks and Jews. Except for the actual antagonists or hate groups they represented, few others found the words or actions acceptable. Instead, condemnation became the expected response by most people. Since the mid 1990s, hatred again has slowly raised its ugly head and now is flourishing to an unimagined disgraceful level. We now have reached the point of respecting the beastly individuals who daily exhort hatred and violence as a method of disagreement of an opposing opinion. Since the election of President Donald Trump, continuous espousing of widespread hatred with violent words and deeds are the norms by persons possessing a national voice. Not a day passes where any word, idea or action expressed by President Trump isn’t followed by hatred and broadcast by so many in the media. Even a moment of respect to the wife of a fallen hero demanded disrespectful incivility by Trump haters. 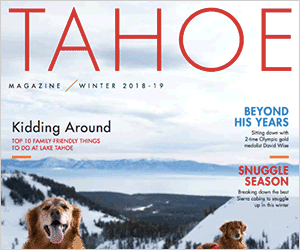 Incline Village’s North Lake Tahoe Bonanza newspaper hater is the “Out of the Blue” column by Mike Restaino, who has no limit to the unleashing his weekly deluge of hatred for anything our president does. Even when there was nothing to write about, he found some reason to express his loathing toward Trump because of a favorite movie. Rightfully, the Bonanza editor does not try to silence anyone expressing their opinion, although I doubt a weekly, ugly worded diatribe against President Obama would have been printed. My words are not to advocate a cessation of printing Restaino’s column but to point out how boring, senseless and self-defeating his words are. Mainstream America is sick and tired of the unrelenting, disrespectful ugliness of such columns. They want our new government and leaders to produce results that benefit everyone including the forgotten hard working Americans. Unlike the previous 8 years, President Trump has not pointed out, blamed or attacked one group of Americans as the guilty party for the misery of another group of our citizenry. No longer are we witnessing the division of the white vs black, rich vs poor, Christian vs Non-Christian, etc. Many of us can and want to believe Trump as he repeatedly states that he wants all Americans to prosper and come together as a country; that we are a people who all bleed the same blood. Is that such an impossible idea to believe in or desire? Additionally what is wrong with wanting a leader who acts as president of the United States and not the whole world? It is so regrettable that the haters like Mr. Restaino cannot accept the concept that Trump does believe in an exceptional America, where all Americans can work together in harmony for the common good without finding someone or some American group to blame, hate and destroy. I, like many conservatives, believe this goal is possible under Trump. Shouldn’t we all dream, desire, work and pray for just that kind of America? Richard Reiter is an Incline Village resident.